North Korea has hacked into more than 140,000 computers belonging to 160 South Korean companies and government organizations, Seoul officials have announced. The hack was part of a long-term plan by the North to launch a huge cyber-attack on its neighbor. The hack began back in 2014 but wasn’t detected until February of this year, Reuters said. The attackers targeted a vulnerability in network management software that is widely used in South Korea. The South’s cyber investigation unit told Reuters it had neutralized the malware before it could be used in a large-scale attack. “There is a high possibility that the North aimed to cause confusion on a national scale by launching a simultaneous attack after securing many targets of cyber terror, or intended to continuously steal industrial and military secrets,” an official at the cyber investigation unit told Reuters. Some 42,000 documents were stolen before the malware was detected, with 40,000 of those being defense-related. This included blueprints for the wings of F-15 fighter jets. Korean Air Lines and SK Holdings, two companies named by South Korean media as victims of the hack, said the stolen documents were not classified, and a South Korean official added that none of the defense-related documents were top secret. Russian President Vladimir Putin stands at a fork in the road. The crises and responsibilities the country faces hang in a precarious balance. As Russia's economic recession drags on, prolonged by Western sanctions and dreary oil prices, inflation has skyrocketed, wages are tumbling and the poverty rate is growing at a pace not seen since the 1998 financial crisis. Limited military campaigns in eastern Ukraine and Syria have stirred up nationalism, enabling the government to maintain its popularity. Meanwhile, NATO forces are building up near Russia's borders, mounting pressure on the Russian military. For much of his more than 16 years in power, Putin has remained a centrist, by Russian standards. He sits neither in the radically liberal reformist camp nor among the rabid security hawks, but somewhere in between, cherry-picking policies from each side to suit the situation. Over the years, Putin has employed a variety of strategies that run the political gamut. But in the years to come, this centrist approach - vacillating between strategies while attempting to maintain a balance - will no longer be effective. Polarized camps in the Kremlin, and among the Russian public, are urging the Russian leader to change tack. Typically, high-ranking officials and advisers do not publicly criticize Putin, nor do they demand overhauls of state strategy. But as Russia's situation grows more precarious, even the Kremlin's elite are expressing concern. In May, one of Putin's longtime financial advisers and two senior officials in the Ministry of Finance published a scathing article in The National Interest. The piece criticized Russia's continued reliance on oil revenue, blasting the government for its failure to implement economic reforms. Although the authors' view is nothing new, the public condemnation from one of Putin's most trusted advisers reveals that dissent in the country has reached the heights of government decision-making. Later that month, Russian daily Vedomosti published a leaked conversation between Putin and former Finance Minister Alexei Kudrin, who told Putin that he could choose either political ambitions and stagnation or political modesty and economic growth. Reynaldo Gonzalez, father of American national Nohemi Gonzalez, who was killed in the 2015 Paris attacks, on Tuesday accused the corporations of “providing material support for terrorism.” According to the plaintiff, the companies “purposefully, knowingly or with willful blindness” allowed militants to use their networks, while preparing for bloodbath attacks in France that killed over 130 people last November. India is Building A Missile Defence System - With Russian Missiles! A new generation of air defence missiles is coming up with the ability to create an “iron dome” over India that will deflect missiles, aircraft and drones aimed against the country. In March 2014, the former army chief General V.K. Singh revealed that 97 per cent of India’s air defence weapons were obsolete. It goes without saying that a country that has two nuclear armed neighbours but an outmoded air defence system is carrying a death wish. But a new generation of air defence missiles coming online is poised to create an “iron dome” over India that will deflect missiles, aircraft and drones aimed against the country. The decision by the government earlier in October to acquire the S-400 Triumf from Russia is an indication that India is finally getting its act together about something as existential as ballistic missile defence (BMD). Widely acknowledged as the world’s most powerful anti-aircraft and anti-missile system, the S-400 has impressive DNA – it is a development of the S-75 missile that famously shot down the American U-2 spy plane over Russia in 1960. This mandates that military forces operate, whenever possible, under a 24/7 integrated air defence umbrella anchored primarily by surface to air missiles (SAMs). The preliminary technical meeting of the NSG in Vienna on June 9 discussed the new applications from India, Pakistan and Namibia. The discussions, according to sources, recognized the merit in the Indian application albeit some countries raised the matter of process and criteria. It is not difficult to fathom who those countries would be with China opposing India’s membership despite being herself a known nuclear proliferator, not being member of MTCR (where India is) and flaunting the MTCR guidelines while promising adherence to the same both verbally and in writing. On admittance of India to the MTCR, a significant comment of a senior US administration official was that it (MTCR) “permits India to continue to advance its non-proliferation leadership in the world and contribute to that regime, to limit missile proliferation in the world”. China has been smart in portraying that she wants NSG entry to be norm-based with no exceptions. This approach is China’s effort to also help Pakistan get NSG membership. China actually voiced her opposition to India’s membership of NSG quite early by linking it with the Non-Proliferation Treaty (NPT), of which India is not a signatory. Just before the preliminary technical meeting of the NSG last week, John Kerry, US Secretary of State wrote letters to all NSG members to support India’s bid. However, China did not budge. Significantly, when the Indo-US Civil Nuclear Deal was signed in 2008, US President Bush had stymied Chinese opposition through a telephone call to the Chinese President. The next NSG meeting is scheduled for June 20-24 in Seoul, South Korea, where the Chinese stance is unpredictable with Chinese President adopting an all round more aggressive approach to achieve China’s stated aim of becoming a ‘Great Power’. China has been smart in portraying that she wants NSG entry to be norm-based with no exceptions. This approach is China’s effort to also help Pakistan get NSG membership. By saying so, China wants to garner support of other NSG members to also call for entry only by accepted norms. But then China forgets she already accepted a waiver in favour of India during the Indo-US Nuclear Deal of 2008? Hillary, Trump and where India stands? With the long drawn primary election season winding down for the 2016 US Presidential race, Hillary Clinton and Donald Trump have emerged as presumptive presidential nominees from the Democratic and Republican parties respectively. Although domestic issues have by and large dominated the debate and discourse so far, early indications of both Hillary and Trump point to their respective foreign policy orientations including on issues that matter to India. On defence engagement, both Hillary and Trump are likely to support enhanced technology cooperation, increased collaboration, and co-development between the United States and India. The Obama administration’s recognition of India as a Major Defence Partner (MDP) is likely to find resonance with both the candidates as India forges an enduring global partnership with the US in the 21st century. While Hillary Clinton, based on her earlier track record as a US Senator and as Secretary of State, will welcome India’s introduction of Visa-on-Arrival for US citizens and in advancing India’s membership in the US Global Entry Program, Trump might have a more nuanced view as he favours a cap on H1B visa for skilled professionals and would rather prefer a more composite policy on the broad issue of immigration that may not be to the exact liking of potential Indian immigrants and software professionals. Trump’s position is also a hard line approach on immigration in general as he has threatened to create a wall along the US border with Mexico for preventing illegal entry of Mexicans into US in search of jobs and opportunities. India under the Narendra Modi government has made no secret of its desire to play a more assertive role in the larger Indo-Pacific. As Modi himself underlined in his address to the joint session of the US Congress last week: “A strong India-US partnership can anchor peace, prosperity and stability from Asia to Africa and from Indian Ocean to the Pacific. It can also help ensure security of the sea lanes of commerce and freedom of navigation on seas.” Therefore, it should not be surprising that India seems now ready to sell the supersonic BrahMos missile, made by an India-Russian joint venture, to Vietnam after dilly-dallying on Hanoi’s request for this sale since 2011. Though India’s ties with Vietnam have been growing in the past few years, this sale was seen as a step too far that would antagonize China. Shortage of ammunition - CAG Report 2015 reveals that of the War Wastage Reserve scales of 40 (I) days, based on which Annual Provisioning of ammunition was carried out by DGOS, indent for procurement of ammunition by AHQ was placed on the basis of ‘Bottom Line’ or ‘Minimum Acceptable Risk Level’ (MARL) requirements which averaged to 20 (I) days due to budgetary constraints, and inadequate production capacity with OFB. Stocking at MARL was also not ensured with availability of ammunition in March 2013 below the MARL in respect of 125 out of a total of 170 types of ammunition (74 per cent). In com cases critical ammunition was available for less than 10 days (I). Clearly this situation cannot be accepted. Non fructification of procurement orders placed on OFB – While a five year Roll on Indent on OFB was placed by the Indian Army after discussion with various agencies including the OFB, projections of funds for the Ordnance Factories was below the targets fixed thus the required ammunition could not be supplied to the Army. The massive blaze in Central Ammunition Depot, (CAD) Pulgaon in Wardha District in Maharashtra a State in Western India on 31 May this year has once again brought to limelight necessity for accident free management of ammunition in the Indian Armed Forces. The focus has been mainly on flaws in storage of ammunition; however detailed review of the accident now that adequate information is available denotes necessity for a systems approach with a view to holistic ammunition management in the armed forces and more particularly the Indian Army. The importance of ammunition management is evident as armed forces annual procurement of munitions varies between Rs 15,000 to Rs 20,000 Crore or US $ 3 Billion each year. Losses impinge on the costs of acquisition thus ammunition well managed is money saved as well. Ideally the Comptroller and Auditor General of India Report on Ammunition Management in Army for year ended 2013 No. PA 19 of 2015 (Referred to hereafter as CAG Report 2015) should have acted as a trigger for reforms in ammunition management. However, possibly as the report was released just prior to the Pulgaon incident as also since crisis appears to be the best forcing function for reform in India, the blaze in CAD can lead to larger reforms. Suffice to say the subject head of the CAG Report 2015 is misleading. While the Performance Audit has been carried out of ammunition management in the Army, the remedial measures required involve many agencies ranging from the Ministry of Defence Department of Defence Production, Ordnance Factory Board (OFB) and Director General Quality Assurance (DGQA) amongst others. CAG Report 2015 would reveal that the Ministry of Finance is also a key agency for provision of budget for requirements for ammunition with a persistent shortfall over the years. Future CAG reports on defence hopefully overcome this anachronism which will result in fixing responsibility. The CAD (Central Ammunition Depot) Pulgaon incident of fire on 31 May which led to the loss of 16 lives and tonnes of ammunition is under investigation. The inquiry is likely to bring out a number of recommendations for improvement in stocking and repair of ammunition. In addition the Comptroller and Auditor General of India Report on Ammunition Management in Army for year ended 2013 No. PA 19 of 2015 (Referred to hereafter as CAG Report 2015) has includes many key recommendations in reforming ammunition management for the Army. ü Ministry of Defence should evolve a realistic mechanism to ensure ammunition deficiencies are overcome and operational requirement are fully met considering the, “capacity of Ordnance Factories, availability of budget and inescapable requirement of the Army”. The massive blaze in Central Ammunition Depot, (CAD) Pulgaon in Wardha District in Maharashtra a State in Western India on 31 May this year has once again brought to limelight necessity for accident free management of ammunition in the Indian Armed Forces. Preliminary reports of the CAD Pulgaon blaze reveals, disposal has been the main issue and not flawed storage. Lack of timely instructions for clearance of defective mines in the Depot led to the blaze which killed 16 brave hearts including two senior army officers and several firemen who valiantly fought the fire to prevent spreading to other sheds which had high value serviceable ammunition. While in terms of precious human lives the losses are irreplaceable, this in turn prevented the loss to serviceable munitions in other sheds. Even though in cases of ammunition accidents the first finger is raised on non observation of Standard Operating Procedures (SOP), it should be noted that the system of ammunition storing, movement etc in Indian ammunition depots is very evolved over many decades and perfected to the extent feasible, Murphy’s Law notwithstanding. 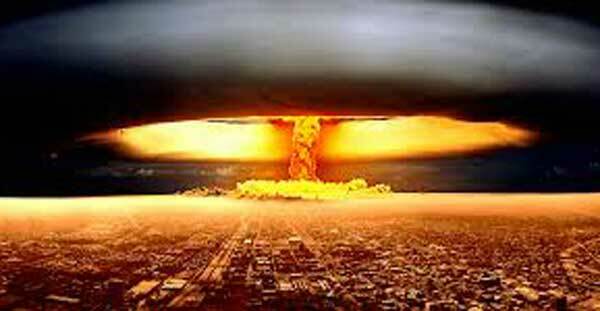 Non adherence of SOP may occur in smaller depots or munitions dumps. In large depots SOPs are well taped up or the Commandants job is on the block. SOPs could also be violated during transit due to inadequate safety standards in transportation. The Defence Research and Development Organisation (DRDO) Centre for Environment and Explosive Safety (CFEES) is the body which prescribes norms for storage of explosives, based on Storage, Transport and Explosive Committee (STEC) Regulations and UN classification. Supremacy of the civil over the military is a fundamental requirement of a functioning democracy. However, subordination of the military to civil authority doesn’t mean the military must be subservient or a service chief has to be denied direct access to the top civil authority. In no democracy does a civil servant act as an intermediary between the armed services and political executive, and what’s more has the last word. This happens only in India. In 1947, our higher defence organisation had to be modified to meet the requirements of a democratic polity. A committee of three senior ICS secretaries recommended the defence secretary should have a higher protocol status than the service chiefs and the three service headquarters should function like attached subordinate offices of the defence ministry, like other ministries. Lord Mountbatten advised the government to reject these recommendations. The service chiefs kept their higher protocol status than the defence secretary. But over the years, functional superiority of the defence secretary has got firmly embedded, marginalising the service chiefs. Lord Ismay was Lord Mountbatten’s chief of staff at the time of Independence. He had long experience of the functioning of the UK’s higher defence organisation, and had served as Winston Churchill’s chief of staff during the Second World War. After the war, he was invited to the United States to advise on the Pentagon’s reorganisation. In view of Partition riots, the war in Kashmir, vivisection of military units and junior Indian officers with no experience of working at the national level suddenly succeeding senior British officers, he did not recommend any drastic changes. He suggested setting up a series of committees in the existing structure to ensure supremacy of the political executive, joint functioning and prompt decision-making. There were two types of committees, governmental committees in which political executives presided and inter-service committees, comprising only military officers. P. Sainath (psainath@ruralindiaonline.org ​) is the founder-editor of the People's Archive of Rural India, and has been a rural reporter for decades. He is the author of Everybody Loves a Good Drought. Hirabai Fakira Rathod was talked into buying a new vehicle in 2010 when many banks were on a “tractor loan” spree. “The salesman at the tractor shop had told me that it was very easy to get and repay this loan,” she told us at her rundown dwelling in Kannad tehsil of Aurangabad district. The local branch of the State Bank of Hyderabad also processed the loan swiftly. 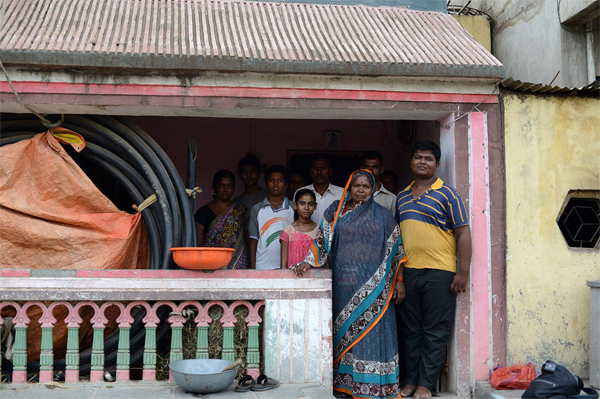 Hirabai, whose husband is a retired forest guard, is a Banjara Adivasi and her large family held 3.5 acres in the same tehsil. “The idea was we could use it ourselves and also earn a bit more deploying it on other farms,” she says. In our upcoming Deep Dive to be published tomorrow exclusively for premium subscribers, we have identified 13 countries that are emerging as successors to China’s dominance in the inexpensive, basic manufacturing industry. In the course of our research, we identified assembly and production of cellphones as an industry of particular interest because it provides a strong base for introducing disciplined industrialization to a society. 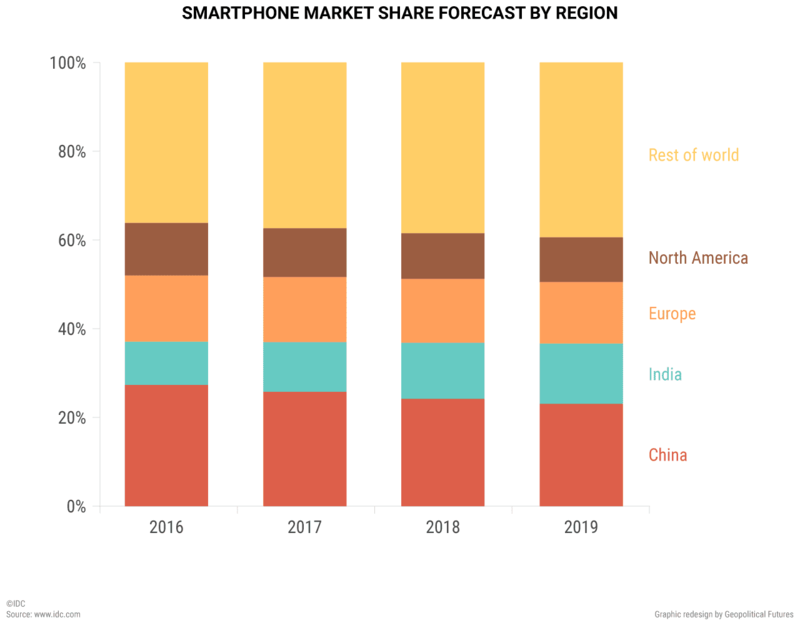 Two key trends in the global cellphone market have led companies to relocate production and assembly facilities outside of China. First, the developed world has become saturated with smartphones. Although consumers in the U.S. and Europe still buy cellphones to replace old ones, there is little room for growth in the number of new consumers in these markets because most people already own cellphones. C’est magnifique, mais ce n’est pas la guerre: c’est de la folie. “The Charge of the Light Brigade” provides a classic example of the subordination of military skill in favor of courage and stubbornness, seasoned with a generous measure of poor leadership and a dash of sheer chaos. The 1854 charge in the Crimean War involved an unsupported light cavalry charge directed against the wrong objective at the conclusion of the Battle of Balaclava, which the British had already won. While the diminished brigade successfully reached the wrong Russian guns and slaughtered the gunners, the only objective that they secured was to ensure that they could retreat at no hazard from the artillery fire they had just attacked through. This illustrates, on the tactical level, the Pentagon’s current vision for dealing with the so-called anti-access/area denial (A2/AD) environment. The current view of dealing with a generic A2/AD environment is unnecessarily focused on a tech-heavy widget-on-widget battle fought at the tactical level, devoid of military objectives and with limited support from allied nations. A2/AD is a defensive strategy, focused on an intention to deprive American forces, particularly air and naval forces, of their preferred method of warfighting. The key to overcoming this strategy is to work around it — shunning the hyperactive, close-range, quick-kill strategy that underpins what was once called AirSea Battle and the third offset strategy, and doing something else entirely, enhanced by favorable geography and a long-standing alliance structure. Otherwise we risk repeating the Light Brigade’s experience on a grander scale — meaningless tactical victories gained at unacceptably high cost. Xi’s the man. Or so the deluge of Xi-centric coverage would lead one to believe. Where many China watchers once examined history to understand strategy, some have become “Xi watchers,” scrutinizing music videos, paraphernalia, and social media accounts on Xi for clues of what he may be thinking. This undertaking, aimed at tracing and explaining Chinese behavior, has led to an obsession with Xi’s personality, endless comparisons between Xi and MaoZedong (and even Chiang Kai-shek), and a singular emphasis upon Xi’s position at the apex of China’s political system akin to the “great helmsman” or as the “core leader.” But a singular focus on his personality and background misses the forest for the trees by mistakenly ascribing strategic behavior to highly subjective interpretations of Xi’s life story and overlooking the preeminence of the Communist Party’s (CCP) mandate. While Xi’s background makes for compelling prose, a preoccupation with the personalities of Chinese leadership — be it Mao, Xi, or leaders yet to come — risks elevating less meaningful correlations between personages and strategy at the expense of understanding the Party’s agenda. The 12 June 2016 Orlando massacre at a gay nightclub, which claimed the lives of some 50 individuals, marks the deadliest shooting massacre in US history. Despite speculations as to the homophobic sentiments of the shooter, political conservatives in the United States have homed in instead on his Muslim identity. That Omar Mateen, a 29-year-old son of Afghan refugees, is reported to have called 911 (the US emergency hotline) to declare allegiance to Islamic State (IS) only lends credence to this conservative assessment. Not surprisingly, Donald Trump, the Republican candidate for US president, took this opportunity to tweet about the timeliness and credibility of his warning against Muslim immigration to the US to legitimise his Islamophobic policy stand. Beyond the fact that Trump’s strict policy proposals related to Muslim immigration would have had no impact in this case, given that the shooter was an American-born citizen, a larger problem is present here: intolerance for all those who are different, especially if this difference is demarcated by their Muslim identities. An obvious fact needs to be noted: not all Muslims are terrorists; not all terrorists are Muslims. 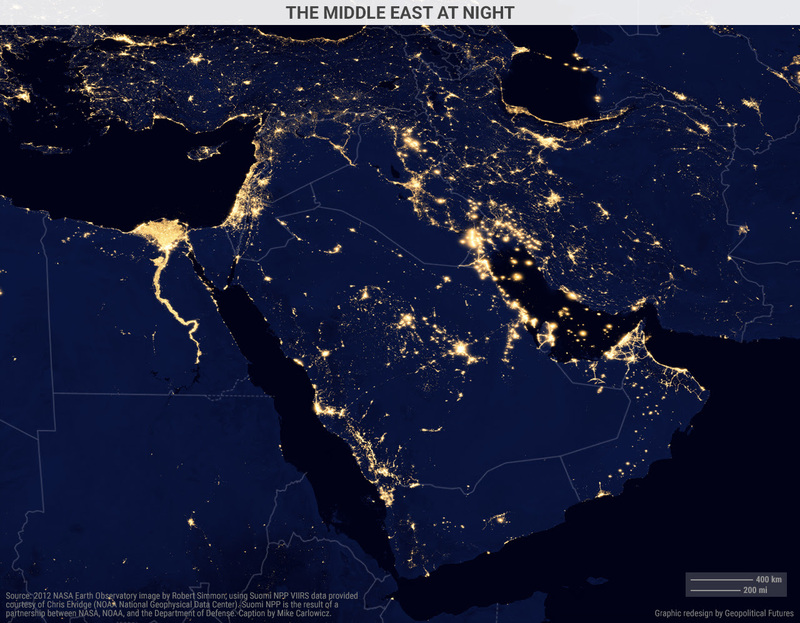 This nighttime map of the Middle East, stretching from Egypt to Iran and from the Red Sea to the tip of the Arabian Peninsula, was taken by a NASA satellite in 2012. It is fairly up-to-date given that electricity use and population don't expand very quickly. The most striking part of this map is Egypt. It has the most intense lighting in the region in an area in the north stretching from Alexandria to the Suez Canal, and then following the Nile River south to the Aswan Dam. The dam delivers much of Egypt's electricity but also limits population growth to its south. It has become the southern limit of populated Egypt. (FPRI) — On May 21, the New York Times published an investigative report from Kosovo about the radicalization of local youth by Islamists from the Gulf. It finds that over the past 17 years, mosques, Muslim charities, and imams, funded or trained by “Saudis and others,” used a combination of inculcation, intimidation, and violence to undermine tolerant local Islamic traditions and foment a new jihadist sensibility among the population. It notes that Kosovo has become Europe’s largest per capita exporter of foreign fighters to the Islamic State — and that over the past two years, in a Kosovar security crackdown, 14 clerics were arrested and 19 Muslim organizations shut down. Five Gulf countries and Egypt are fingered as the instigators, but the focus of the piece is Saudi Arabia. The report was widely discussed in Washington, and became the subject of an article in Commentary by Max Boot. He concludes that Americans should not neglect the Gulf’s continuing role in Islamist inculcation worldwide. In Boot’s view, “Saudi Arabia and other Gulf states have done more to crack down on outright financing of terrorist groups” since the September 11 tragedy, but “Saudi Arabia has not, as far as I can tell, made as much progress in decreasing its support for mosques and madrassas abroad preaching doctrines of hatred.” The kingdom nonetheless remains a U.S. ally to any White House committed to struggling against the Tehran regime, he writes. Given that the present Administration has angered Saudi Arabia by coddling Iran, Boot counsels winning back the Gulf’s goodwill by aggressively countering Iran, then parlaying that political capital to apply greater pressure to end the export of Sunni militancy. “It’s frequently said, and I think it’s basically right: If al-Qaeda was an internet-generation terrorist group, ISIL is a social-media-generation terrorist group,” Carter said. The 2007 surge of U.S. troops in Iraq was reportedly accompanied by a surge in malware on militant networks unleashed by the National Security Agency. U.S. soldiers also boosted their signals intelligence collection by using cell phone signals to geo-locate insurgents. o Does Russia Have a Gerasimov Doctrine? South America is an island, connected to North America by a land bridge. We all know that. But South America is not a single entity. It is made up of smaller islands, divided not by the ocean, but by impassable jungles and mountains. The Amazon and the Andes create three islands. 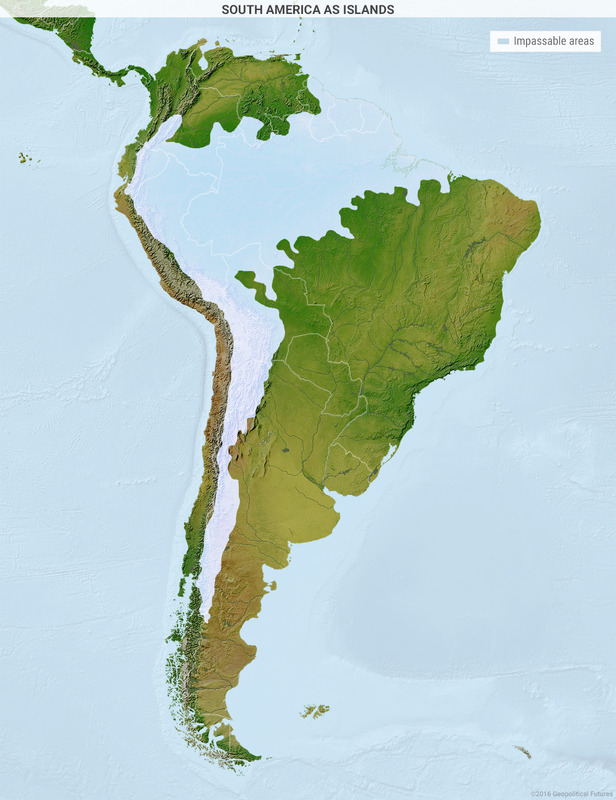 The eastern island consists of parts of Brazil, Argentina and Bolivia, as well as Paraguay and Uruguay. The second island is Venezuela and Colombia. The third is a long, thin island in the west, running from Ecuador through Peru and Chile. The attack of Russian football louts against English fans in Marseilles was a well-organized action that was part and parcel of Vladimir Putin’s “hybrid war” against the West and one that has grown out of his longstanding ties with the kind of fans other countries are ashamed of but that Russian leaders celebrate, according to Ilya Milshteyn. At a minimum, that should lead to Russia’s disqualification from the European Cup competition, to the stripping of Russia of the right to host the World Cup in 2018, and to a realization in the West that the Putin regime is completely contemptuous of all rules of the game in all segments of life and must be ostracized until it changes. In a commentary on the Grani.ru portal, Milshteyn says that what happened in Marseilles was the logical outcome of the rapprochement of the Russian power elite with Russian football fans. The first to promote that was LDPR leader Vladimir Zhirinovsky but he was followed by the sports ministry and then Vladimir Putin (graniru.org/opinion/milshtein/m.252202.html). It is time for the shadowy world of cyberwarfare to open up to more oversight from politicians and the public? While the British government has confirmed that it, like many other states, is building the capability to use cyberweapons against enemies if necessary -- and is spending £500m on the project over the next few years -- it has been unwilling to provide much more in the way of detail. Shadow defence secretary Emily Thornberry recently asked the government for detailsabout the UK's offensive cyber capabilities, such as when they have been used and whether politicians will be given the chance to debate the use of such weapons, either before or after they were deployed. The response from armed forces minister Penny Mordaunt didn't go into specifics: "We continue to develop the ability of our armed forces to deploy a broad range of offensive cyber capabilities as an integrated part of military operations. As with other sensitive defence capabilities, we do not reveal specific details in order to safeguard national security."